Mother's day is getting closer and the excitement is rising! What would you think if I told you that today I have joined forces with Jenn of Decadent Nature to offer you a chance to win an exciting gift pack for Mother's Day worth $45! In her etsy shop Jenn is offering natural, homemade skin and beauty products - lotions, salves, creams, toners, serums, and more! If you've been following me for awhile, by now you know that I am all for organic, local, fair trade and low-impact products, so you can rest assured that Decadent Nature is just that! This year, you can offer a spa day for the mother in your life! 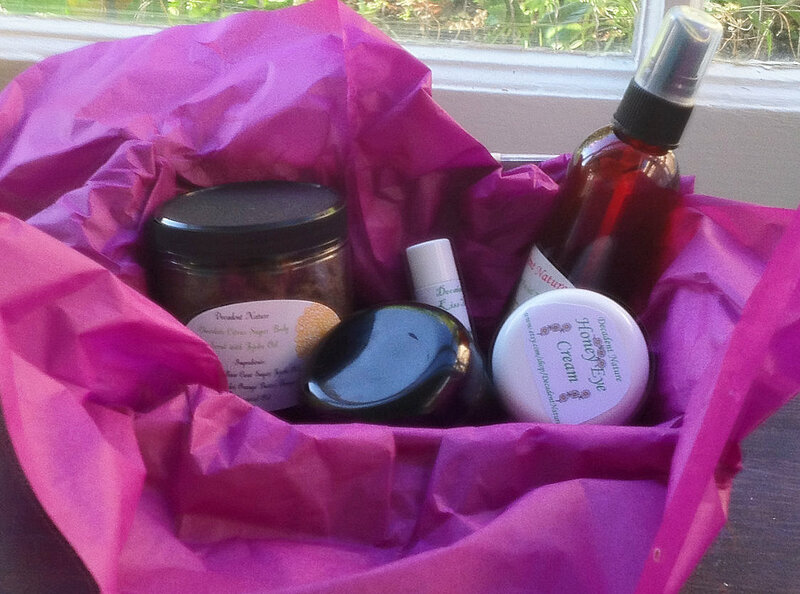 Jenn has combined some natural handmade skin and beauty products in this gift basket. Honey Eye Cream with a soft, slick feel, without the greasy texture you can get with some thick creams. Moisturizes the sensitive skin around the eyes to reduce lines. Chocolate Citrus Sugar Scrub using Jojoba Oil to moisturize the skin, cocoa powder for its anti-oxidant properties, and scrubs away dead cells with raw, organic sugar. Orange and Aloe Butter Hand Cream has not even been posted to the Decadent Nature shop yet, but Jenn couldn't wait to add it to the gift set! Using butters of fragrant orange, and healing aloe, this silky cream is so good for your hard-working mothers' hands! Lemon Balm-Infused Lip Balm infused with castor oil for flavor and shine. Organic, local honey is added to sweeten it up. Refreshing Herbal Toner, which you can use after cleansing the skin to refresh it, astringent herbs help to shrink pores, and aloe vera that soothes your skin. So, waste no time, just follow the Rafflecopter widget and hold your breath until April 25th to learn if you are the winner! The giveaway is open for U.S participants. I like the grapefruit body butter. It is awful to see the labels of many products for the skin that actually have neurotoxines! I think this products are initiatives that can deffinitely destroy the chain of destruction that big multinationals have to reduce cost and increase quantity by making us more sick and poisoned. I think the Oh, My Aching Back Balm for Musculoskeletal Pain sounds great for those aches and pains we all get as we get older! I think the lemon lip balm sounds lovely! :) Thanks so much for the give-away! I would like to try the Oh, My Aching Back Balm for Musculoskeletal Pain. I would love to enter! Is this for U.S. resident's only? I like the Sugar Scrub with Jojoba Oil. Thanks so much to all of you for the lovely comments! Please do check out any of my products. I am confident that you will love them! 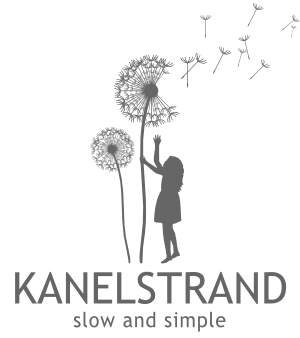 Use Coupon code: yaykanelstrand for 10% off anything in the store! Thanks to both of you for the wonderful giveaway!! I'd really like to try the honey eye cream. All the products sound fab though! I like the honey eye cream. I would love to try the Refreshing Chocolate Lip Balm with Wintergreen Essential Oil! Hand Cream with Orange and Aloe Butters is my favorite item from Decadent Nature! The Grapefruit Whipped Body Butter looks great! I would LOVE that eye cream! Your products seem like wonderful, healthy alternatives to mass produced junk from big box stores! I like the facial serum for oily acne prone skin. The hand cream with orange and aloe butters sounds amazing! Sugar Scrub with Jojoba oil sounds great. The Grapefruit Whipped Body Butter sounds amazing! Calendula lip balm looks amazing! I would love to try the Grapefruit Whipped Body Butter. Thanks for this great giveaway.